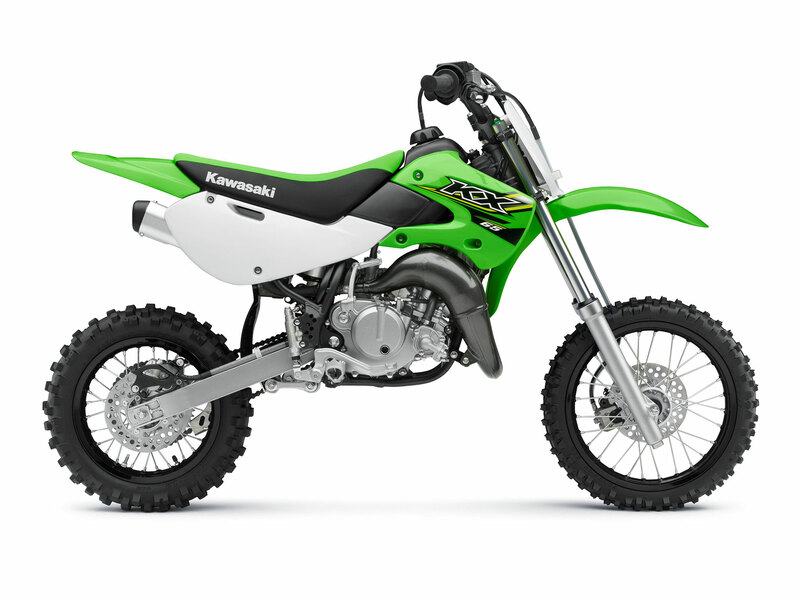 Kawasaki’s smallest motocross racer is loaded with big KX features to keep young riders at the front of the pack. 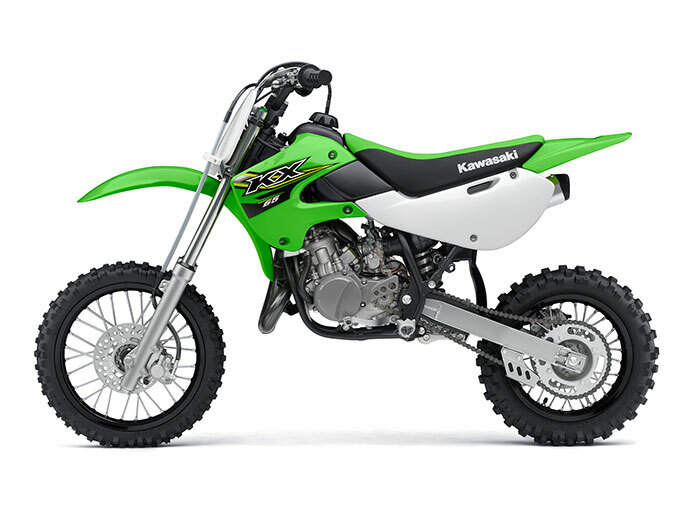 Boasting aluminum rims, adjustable suspension, digital CDI, and fast revving flywheel, the KX65 is a serious competitor. As the most compact bike in the Kawasaki KX lineup, the KX65 was built with the specific purpose of serving as the machine of choice for entry-level motocross racers determined to follow in Kawasaki’s championship proven footsteps. This is where champions are groomed, featuring a six-speed transmission, race-ready engine, strong stopping power, and superb handling. 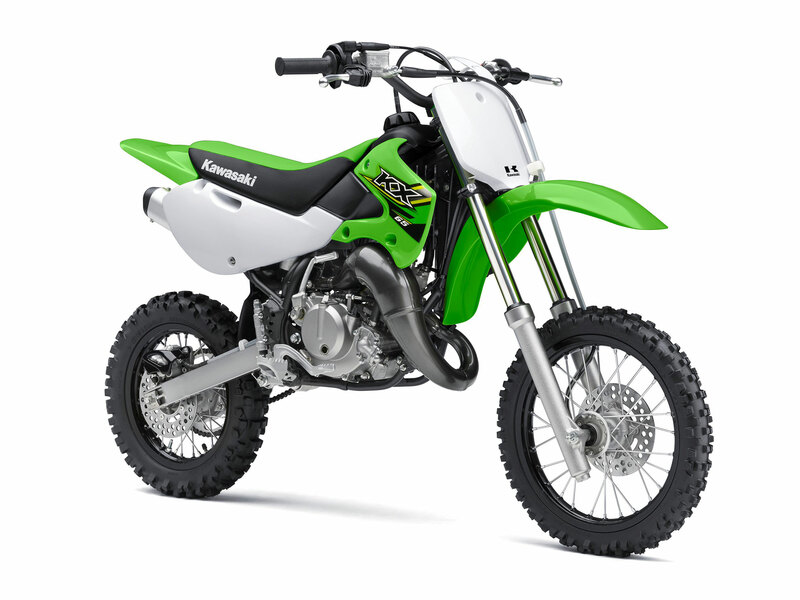 The liquid-cooled, two-stroke 65cc engine and light weight chassis contains the perfect power and handling combination for riders to handle obstacles with ease and cross the checkered flag first. 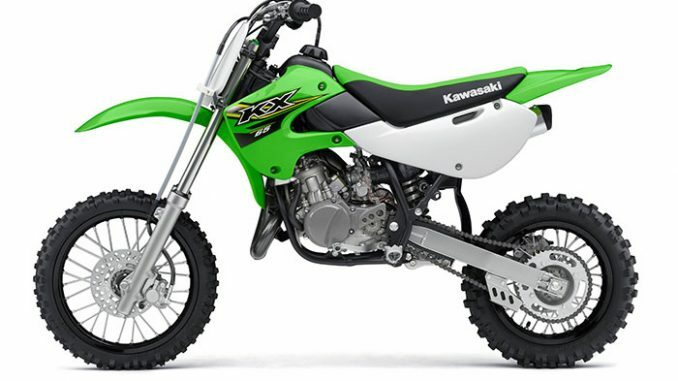 Thanks to its 33mm front forks and four-way adjustable rebound damping, it has the ability to absorb aggressive terrain, while the rear is fitted with Kawasaki’s Uni-Trak® single-shock system with adjustable rebound damping and fully adjustable spring preload. From their first ride to lifting the trophy, legends choose KX – Created to dominate and built for winners, the KX65 and new KX85 are competition ready machines designed to encourage the green shoots of youth talent allowing it to blossom into full-blown race wins and Championship success.